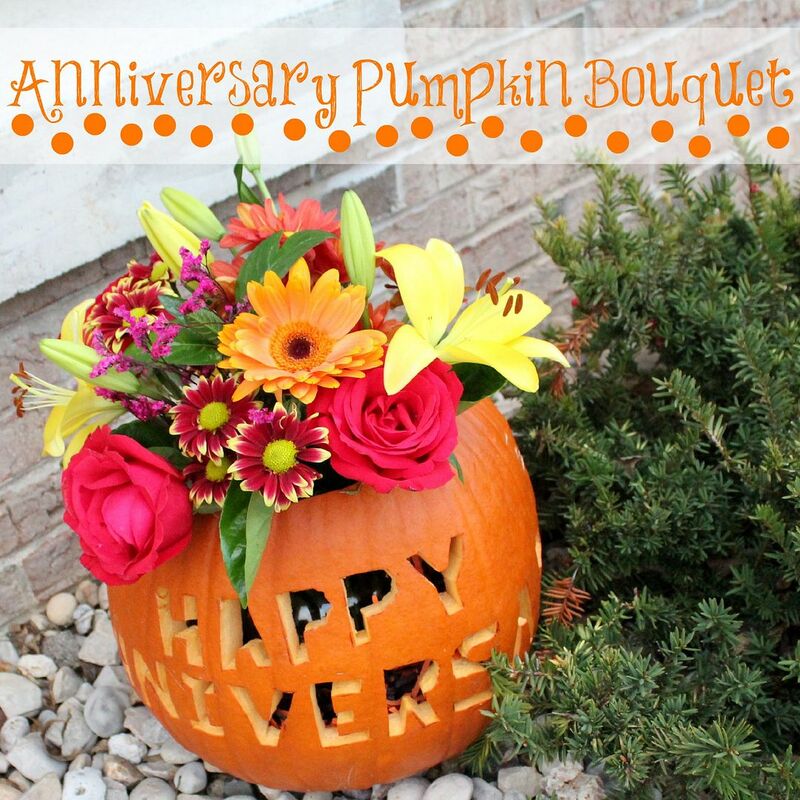 My “Happy Anniversary” pumpkin bouquet surprise! 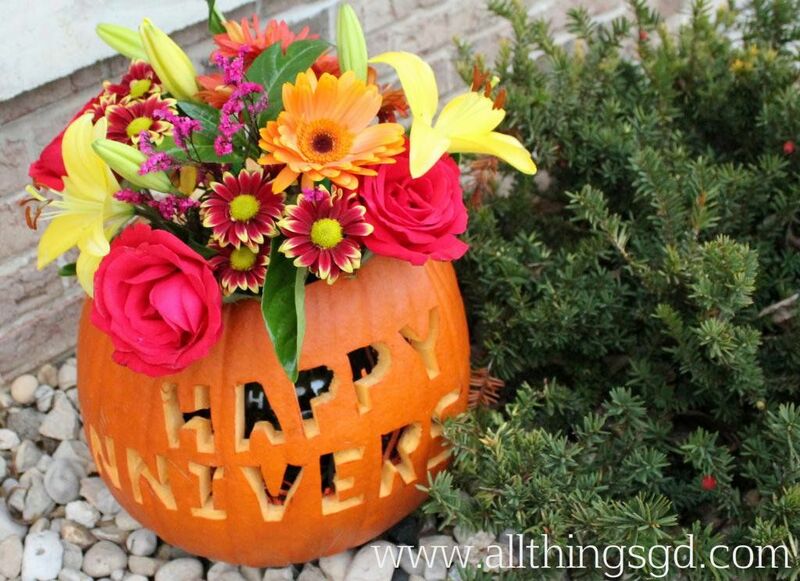 He carved “Happy Anniversary” into a huge pumpkin, and filled it with beautiful fall flowers and a few other goodies including chocolates, an iTunes gift card and a Starbucks gift card. It was such a wonderful surprise! Isn’t this just the neatest idea?! I always knew the man I married was funny, kind and thoughtful (not to mention devilishly handsome) – but I had no idea he was this creative, too! Check out All Things G&D on Facebook to see a picture of us on our wedding day! So cute!! Well done, G-unit! That melts my heart. I love it when men think beyond a ‘gift’ and make something personal and special. G gets lots of points for creativity!!! How adorable!!! My hubby is super creative, but not when it comes to anniversaries! Happy 9th! That is so cute! I love that he thought outside of the box on your gift. Happy anniversary! What a sweetheart! You are a lucky girl D! Happy Anniversary I hope you have many more happy years together! Go G! That is adorable! Congrats on nine years! And thumbs up to G for being so sweet. Thank you so much, everyone! I am definitely one lucky lady! What a sweet hubby you have! I laughed out loud at the “when did G join Pinterest?” thought. Happy anniversary! 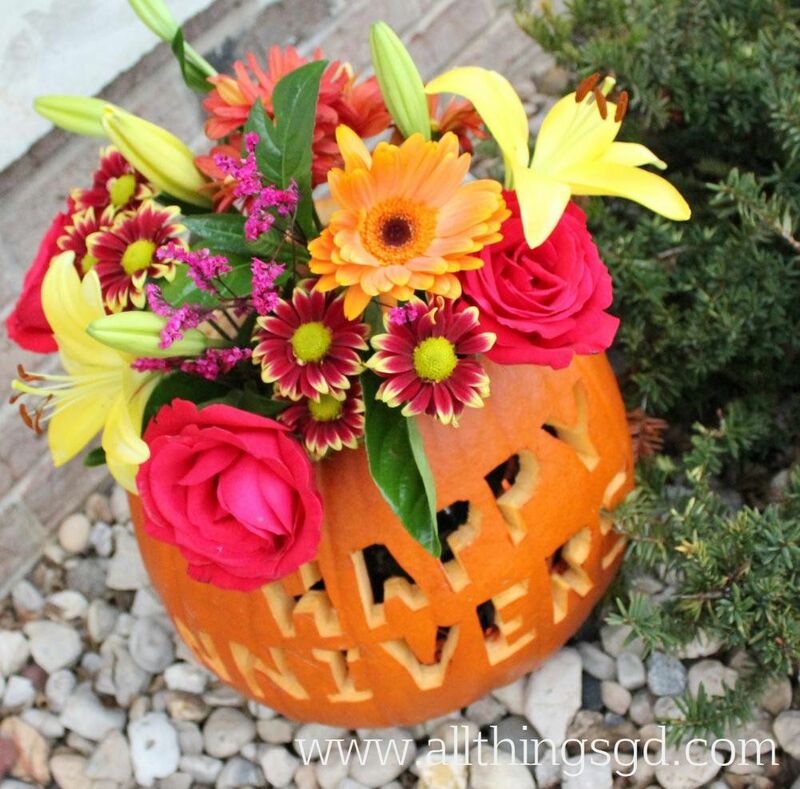 This is so funny…last weekend my husband and I were invited to an acquaintance’s house for the first time, and he had the same idea for a gift to bring over–carved pumpkin with mums inside. Except I wouldn’t let him because I figured the carving part might be hideous and totally awkward. @Sarah: Too funny, lol! Props to your husband for the creative idea, though!